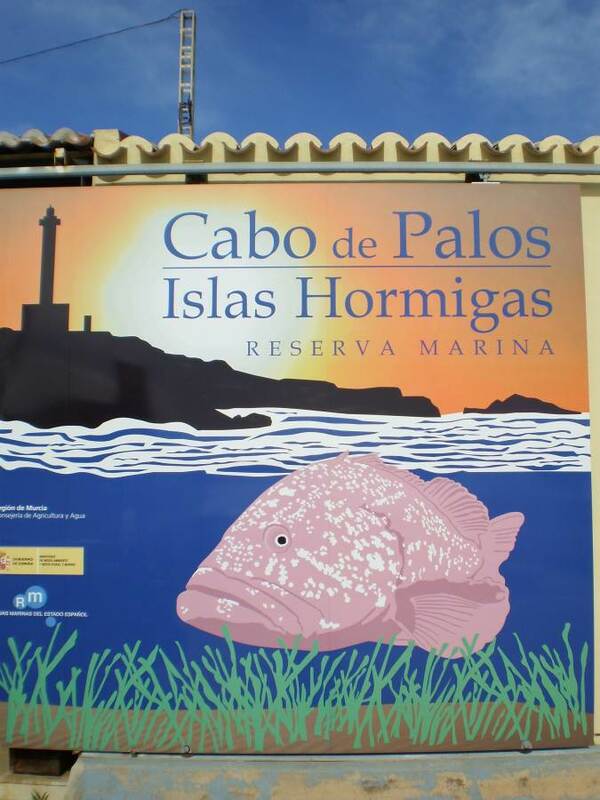 The Cabo de Palos area of Spain offers some fantastic, Shore, Boat and Wreck dives and is home to the famous Islas Hormigas Marine park which is considered the best area to dive in Spain and is a well established breeding ground for the typical local fish such as Groupers, Barracudas, jacks, Moray Eels, Common Dentex, Tuna, several types of Sea Bream, Wrasse Eagle rays and other such marine life as Octopus, Nudibranch, Cuttle fish and Squid. With over 10 local dive sites of interest to choose from & all only a short minibus or boat ride away you will be spoilt for choice. Dive sites stretch as far north as the Isla Grosa Marine reserve just east of the Mar Menor sea, down to Cabo de Palos and south to Cartagena where ancient ship wreck artifacts have been recovered such as amphoras from the Carthaginian times. Please look under the sub headings for , Shore, Boat and Wreck dive site descriptions and cluck the link below for a map of our dive sites area.